Recommendations for exercise should be determined in consultation with your cardiologist. Unoperated patients with anomalous left coronary artery are subject to severe exercise restrictions because of the risk of sudden death. After surgical correction, the level of activity that can be safely tolerated depends on the postoperative degrees of left ventricular dysfunction and mitral valve insufficiency. 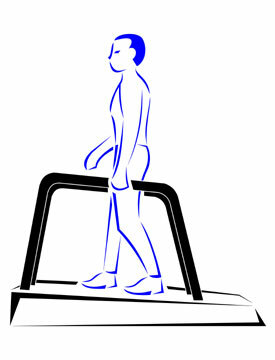 In most cases after correction, normal or near-normal exercise levels may be pursued. In some cases, the patient will be advised to avoid rigorous isometric exercise (maintaining a specific posture without very much movement of the limbs (e.g. weightlifting, downhill skiing)).